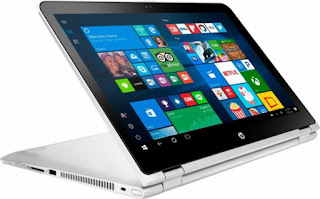 The HP PAVILION X360 15-BK163DX is a 2-in-1 laptop PC comes equipped with the processing power of 7th Generation Intel Core i3-7100U dual core SoC base on Kaby Lake architecture that features 3 MB level 3 cache and runs at the clock speed of 2.4 GHz without Turbo Boost but features Hyper Threading technology to process 4 threads at once. It has an integrated GPU called Intel HD Graphics 620 graphics card clocked at 300 - 1000 MHz capable of rendering HD movies and playing less demanding games. 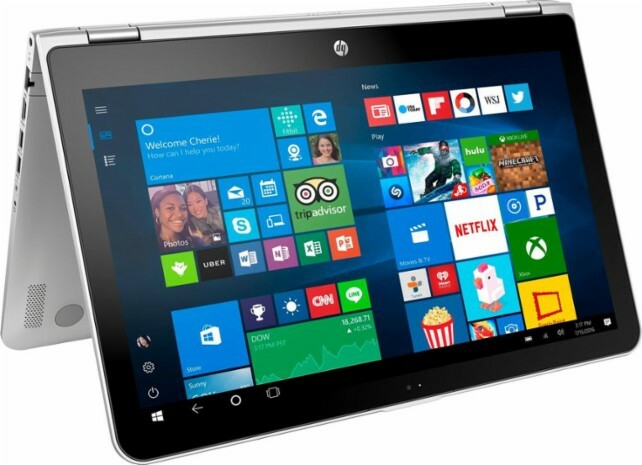 Under the hood, this HP PAVILION X360 15-BK163DX laptop PC is packed with different features such as 8GB DDR3L-1600 SDRAM system memory for advanced multitasking; 1TB 5400 RPM HDD hard drive for ample file storage space; 360° flip-and-fold design to offer versatile functionality with laptop, audience, tabletop, presentation and tablet modes; Cloud support lets you access your files anywhere; media reader for simple photo transfer; HP TrueVision HD webcam with dual-array digital microphone; full keyboard with 10-key numeric keypad; HP Imagepad with multi-touch gesture support; B&O PLAY, dual speakers and a 3-cell, 48 Wh Li-ion battery. It comes in Natural silver and ash silver for stylish look. It also features software products such as HP Orbit; HP 3D DriveGuard; HP CoolSense; HP ePrint; HP Games by WildTangent; HP Audio Switch; HP Jumpstart; HP Recovery Manager; HP Support Assistant. 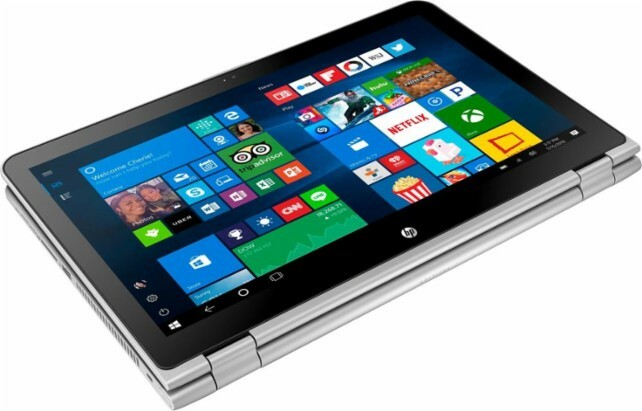 This HP PAVILION X360 15-BK163DX comes packed with 15.6" diagonal HD SVA WLED-backlit multitouch-enabled edge-to-edge glass with a screen resolution of 1366 x 768. This is resolution is not that high so it is expected that it is not that sharp and clear compared to laptops with higher resolution. It offers energy-efficient WLED backlight. With regards to connectivity, this laptop PC comes packed with HDMI output expands your viewing options; 2 SuperSpeed 10Gbs USB 3.1 ports; 1 USB 2.0 port; Bluetooth interface syncs with compatible devices; and Wireless network connectivity to connect to your network or hotspots on all current Wi-Fi standards. This laptop PC is powered by Windows 10 operating system that brings back the Start Menu from Windows 7 and introduces new features, like the Edge Web browser that lets you markup Web pages on your screen. This laptop measures 0.9 inch x 15 inches x 9.8 inches and weighs about 5.07 pounds. You can get this laptop at the price of $529.99. Do you have this laptop PC? Share with us your experiences with this particular device. Other laptops in this price range include Samsung Notebook 3 NP300E5K-L04US; HP Pavilion 15-CC564NR; HP Pavilion 15-CC563NR and HP 17-BS011DX.